Media Sales House approached Sanlam direct with a solution to increase their lead generation volumes. Michelle was tasked with the design, the rest was my responsibility. 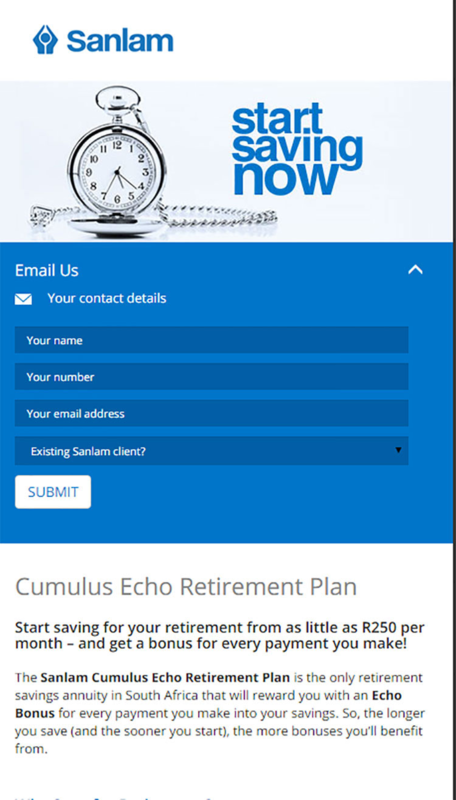 Once Sanlam Direct Mobisite design was cut-up and built (sanlamproductads.co.za), then came the integration and back-end functionality. The mobisite feeds into a MySQL database where the data is checked, processed and sent off to Sanlam via API’s.